This guide shows how to build your own Serverless Kubernetes cluster with Raspberry Pi and OpenFaaS. 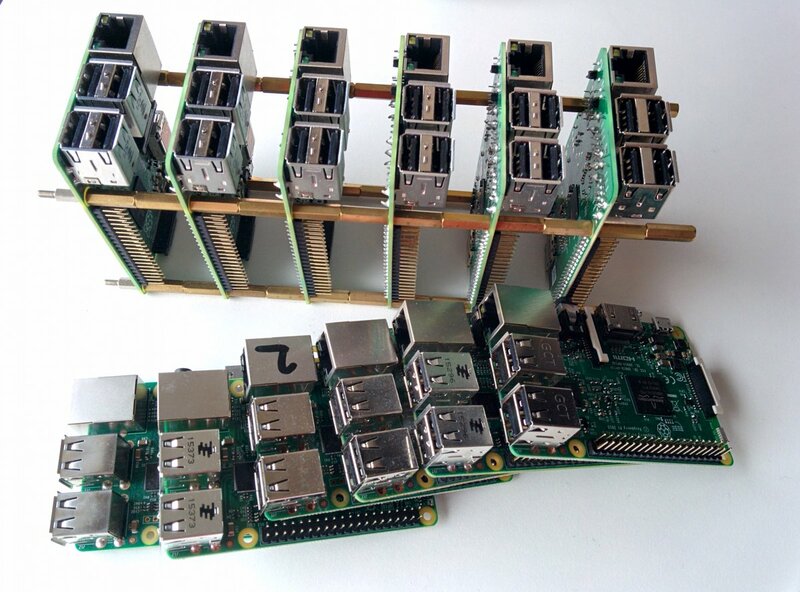 This post is the third in a series on building a cheap and scalable Serverless Raspberry Pi cluster. Scale by adding more $35 Raspberry Pis. OpenFaaS is a serverless framework for Docker and Kubernetes that is easy to use, deploy and built with care by a growing community of hackers. If you're one of the many people who are new to this space, read the introduction of our first post to find out what Serverless is and what it can do for you. In Part 1 of the series we introduced Serverless and what it is being used for. We then built out a cluster using Docker Swarm. Part 2 focuses on monitoring the cluster for disk space, CPU usage and network I/O. In this part we build a Kubernetes cluster with Raspberry Pis and deploy OpenFaaS to test it. You'll have access to kubectl - so once you've finished the tutorial you can keep learning. This guide will show you how to install Kubernetes directly on top of Raspbian - the way it was meant to be. We won't need to flash any custom images or spend time learning how to configure a new OS. Now deploy OpenFaaS. OpenFaaS stands for Functions as a Service - a hot and emerging technology which lets you focus on writing small, reusable functions. Just put together a few lines of code, say what dependencies you need - then use our CLI to build it into a Docker image and deploy it to your cluster - OpenFaaS will do the rest. You then get full metrics made available through Prometheus and this data is used by the cluster to auto-scale your function as demand increases. Watch my OpenFaaS introduction and demos from Cloud Native London meetup in HD on Vimeo: FaaS and Furious - 0 to Serverless in 60 seconds, anywhere. Let's clone the GitHub repository and use kubectl to deploy. A Helm chart is also available in the repository for if you want to deploy OpenFaaS to a cloud or your laptop. The Kubernetes controller for OpenFaaS is called faas-netes. Note: if you're using helm we also have a helm chart, but you'll need to find your own Tiller server for the ARMHF architecture. We're using the NodePort concept in Kubernetes, but you can add an IngressController and a software load balancer such as Nginx or Traefik if you want to use a privileged port like 80. We build the CLI for Windows, Linux, Linux ARM and MacOS. Note we need to specify python-armhf rather than just python. That's because ARM needs its own templates. This will create an empty hello-world style function. Let's check it out. Edit http-ping.yml and replace image: http-ping with your Docker Hub account like: image: alexellis2/http-ping. Since we are on Kubernetes we also need to edit the gateway port from gateway: http://localhost:8080 to gateway: http://localhost:31112. The first time you run this we'll download some Docker images, but for each subsequent build it will use a cache. If your Docker engine is running in experimental mode you can also "squash" the layers for a smaller final image with faas-cli build --squash. We are pushing to the Docker Hub, but if you have a local registry that may be faster. Important note: some Linux distros have IPv6 configuration in the /etc/hosts file that causes deploying to a gateway at "localhost" to hang. The fix is to edit your YAML file or to pass the flag --gateway http://127.0.0.1:31112. The function will be downloaded by Kubernetes and deployed on one of your nodes (Raspberry Pis). This could take a couple of minutes the first time since the Raspberry Pi's network and I/O interfaces are slower than regular PCs. Now you can invoke the function via the UI or the CLI. We see the replica count is set to 1 meaning there is only one container mapped to this function (more are added by OpenFaaS if we start to generate high load). The invocation count is now 2 which is updated live from Prometheus metrics. Star our GitHub repository for OpenFaaS and show support for the work we do. We'd love to see what you build with OpenFaaS and your new Kubernetes home-lab. Share and Tweet to @openfaas or @alexellisuk. The world of container and Kubernetes moves at a fast pace. If you have edits where files or URLs have been renamed or moved please get in touch so we can keep the guide at AAA quality for everyone.